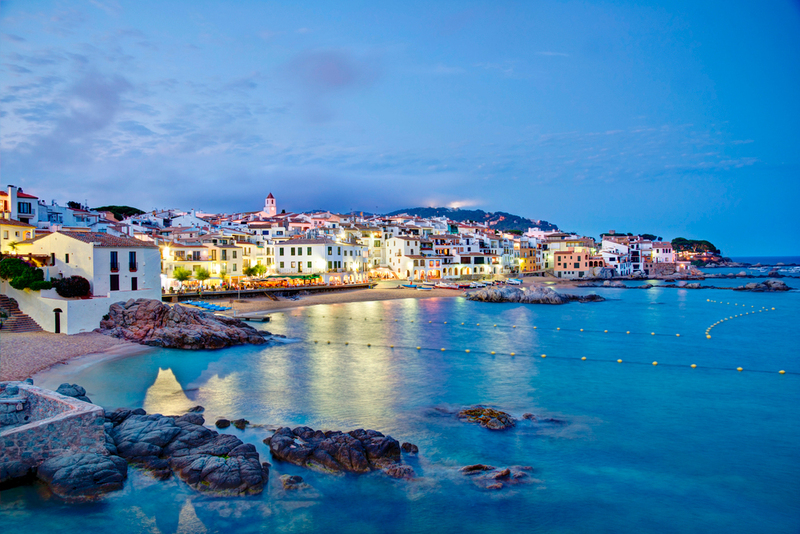 From its originally fishing origins, now the sea fruit of this little and familiar Mediterranean sea make the delectation of its visitors, being one of the juicy bases of its appreciated local gastronomy. 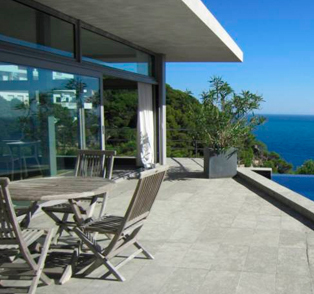 One of the special features of the area is the connivance of pine trees and sea. Nature is close and in certain places its savage magnificence has been preserved. Together with beaches of easy reach and handy services, with restaurants and bars at beach foot, you can find some less centric beaches where there are no barriers between the green of the pines and the blue of the sea. 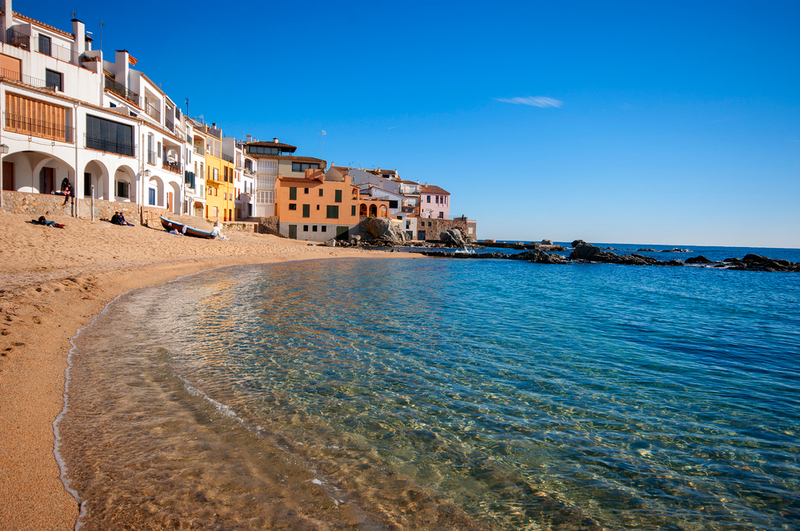 In Calella and Llafranc you can practice some water-sports like sailing, windsurf and kayak. 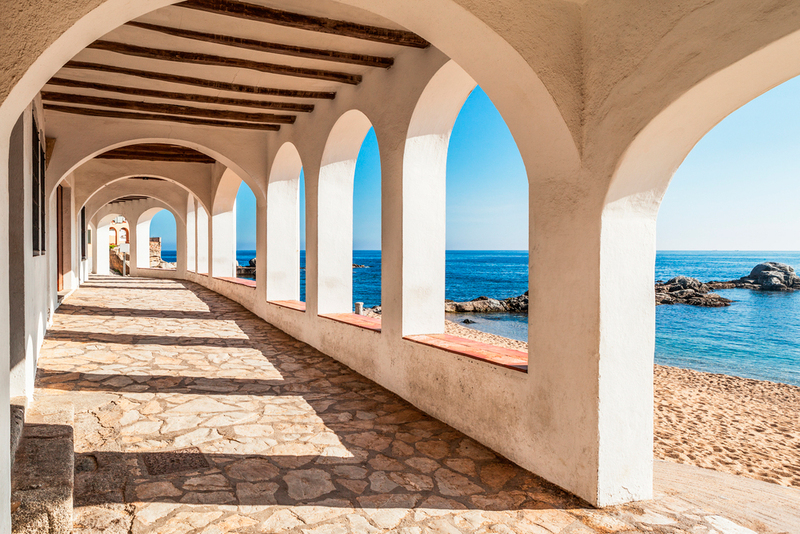 In the hillside of Calella there is a beautiful botanical garden, surrounding a small castle where in the summer time an important music and dance festival takes place every year. The atmosphere, though resorted to, is calm. 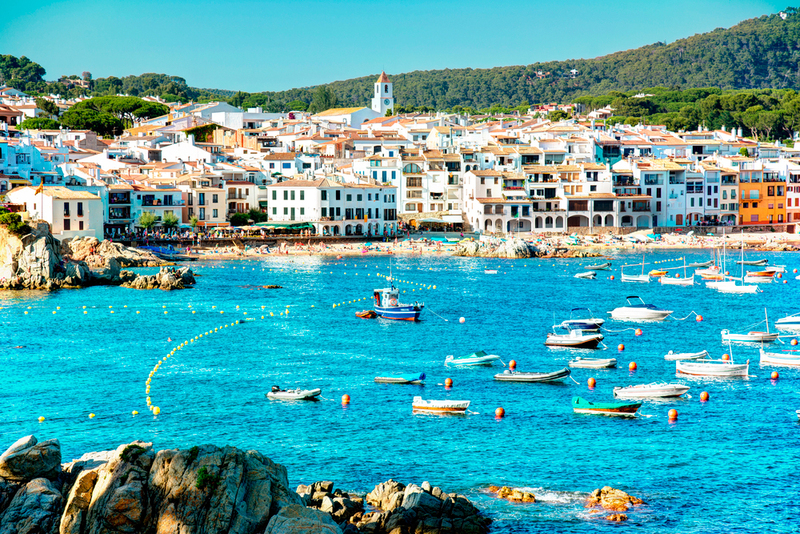 Anyway for young people there are a few discos between Calella and Palafrugell. 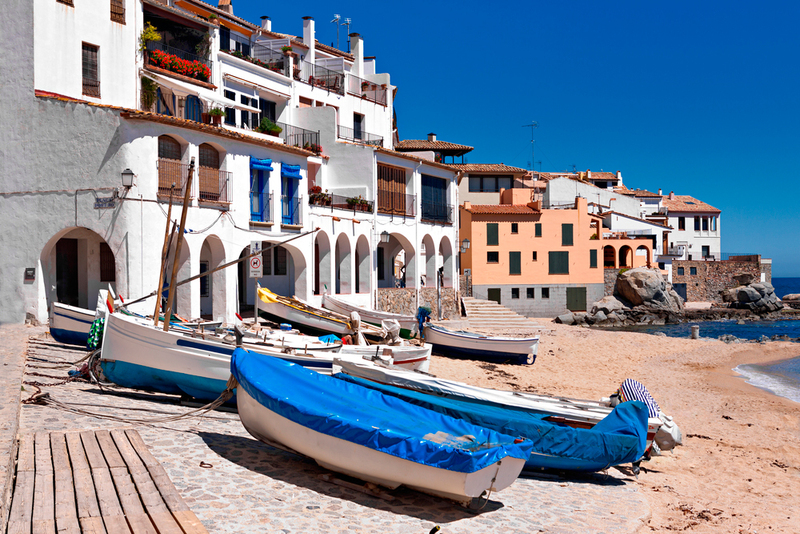 Palafrugell is the main town where these villages belong to. 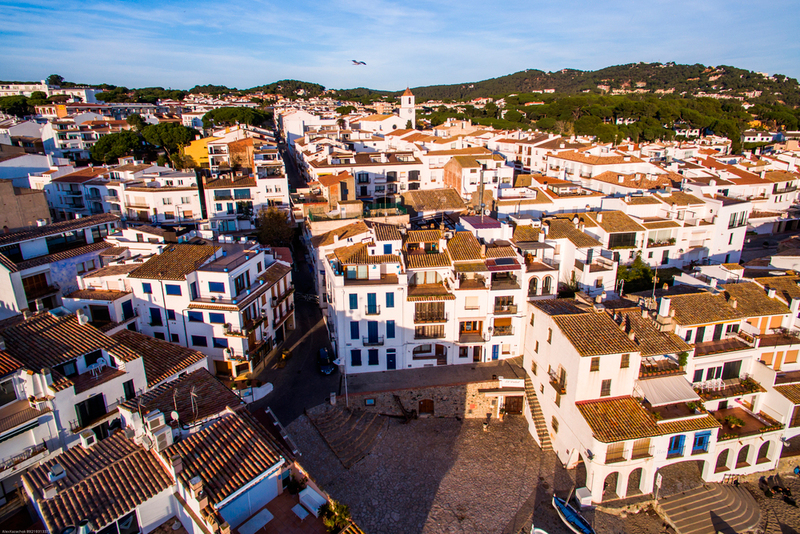 Palafrugell is an important commercial centre of the area, with a manifold Sunday market where to find fruit, fresh vegetables, flowers, clothes and other items. The traditional activity, which gives its fame to the town, is the transformation of the cork oak into cork-stopples, honoured nowadays with The Cork Museum. 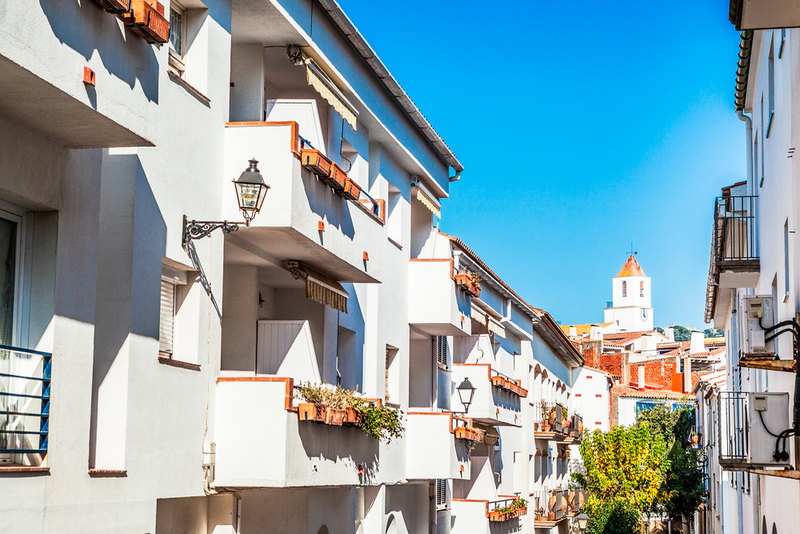 In the surroundings there are interesting towns for pleasure, for its history, cultural or landscape interest, like the ceramic handcrafts of La Bisbal or the ancient town centres of Pals, Monells, Peretallada or the capital, Girona. 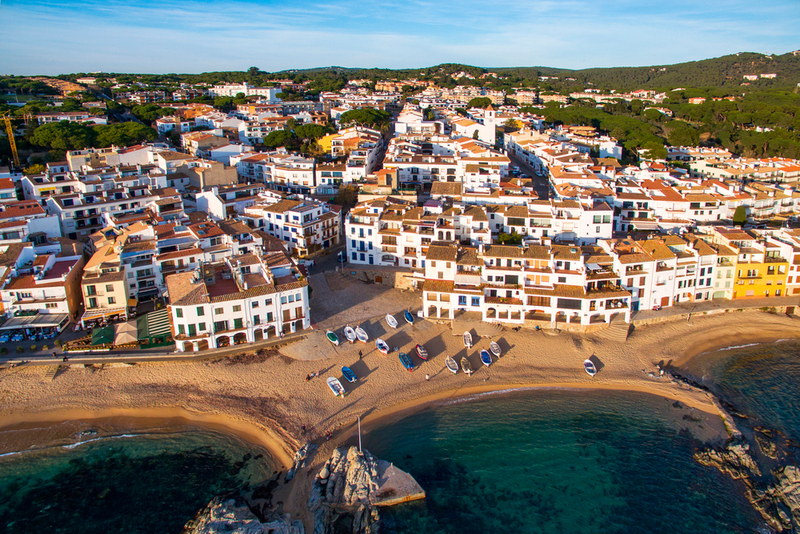 The beaches of Palafrugell are ; Tamariu, Llafranc, El canadell, Port Bo, Els canyers, La Platjeta, Port Pelegrí, Platja de Sant Roc, Platja del Golfet.